But those gifted with the blood-song are never destined to live a quiet life. Many died in King Janus’s wars, but many survived, and Vaelin is a target, not just for those seeking revenge but for those who know what he can do. The Faith has been sundered, and many have no doubt who their leader should be. The new King is weak, but his sister is strong. The blood-song is powerful, rich in warning and guidance in times of trouble, but is only a fraction of the power available to others who understand more of its mysteries. Something moves against the Realm, something that commands mighty forces, and Vaelin will find to his great regret that when faced with annihilation, even the most reluctant hand must eventually draw a sword. This entry was posted on Tuesday, October 22nd, 2013 at 11:37 am	and posted in Writing Stuff. You can follow any responses to this entry through the RSS 2.0 feed. Looks brilliant. Really good artwork. Well done on the continuing series. Fantastic news. Most anticipated novel of 2014. Love the cover as well. Thanks Travis. No plans yet but I’ll post an update here if that changes. Thanks Francesco. I’d love to come to Italy sometime, probably have to wait and see how Tower Lord does first though. Ha! Vaelin Being the Tower Lord is not something I expected. Looking forward to it. I’m so happy to hear this is coming out. I need to read Blood Song again before it gets here. It is by far my favorite story so far. Can’t wait! Do you know when Amazon will have it available for presale? Looking forward to the release here in the USA! I think the Amazon pre-order page for the Blood Song hardcover went up four months in advance, so watch out for the next one around February March time. Really excited to read this! Loved the first book. Marking this release date on my 2014 calendar! I just re-read blood song for the 4 th(!) time. It’s the first book I’ve ever read more than once. The release date is quite shocking. It’s still so far in the future. I had hoped it will be released early 2014 or end of 2013. Well, I hope the 3 rd book won’t take 2 years for it s release. Thank you very much for fantastic story and keep up the good work. I can’t friggin’ wait. I’m going to have re-read Blood Song as a refresher. So…Caenis? huehuehue sweet. Hyped. Weird. I asked this question before but…I’m gonna see what you say now: you makin’ more money with the traditional publishing or the independent? Anyway, this is fantastic (if you couldnt tell already…). Good stuff. Awesome. Without going into details, yes. Reading Blood Song for third time to refresh my memory. But I think I’ve read it again next year to fully enjoy Tower Lord. Anyway keep this up, great work takes time to complete so I won’t be complaining about the late release. Good: We have a set date now. Bad: I’ve to wait too long. Anthony – looks good! Loved Blood Song and looking forward to continuing Vaelin’s journey. Blood Song was amazing. I rather wait and have a quality book vs. a not so great book every 6 months. My light faded with David gemmell’s passing.Thank you Anthony for bringing light back into my world. Now, that’s a good news. Looking forward to read the book. And I dig the cover, I’ll be getting the digital version tho’, kind of love my Kindle… There will be a Kindle edition, right? Thank Nevarran. Yes, the Kindle version (other ebook formats are available) will be released at the same time as the hardcover. Thanks, Anthony. Good luck with the release of the new book and the writhing of the next one. The book is amazing! I hope that when a production company asks to make this into a movie that you say yes! Needless to say, it’s pre-ordered. In preparation, I’m reading “Raven’s Shadow” again – this is the third time, and it has the same magic as on the first read. Anthony,Kia Ora from NZ, if you come here I’ll take ya fishin !, Are you doing any limited signed editions with Goldsboro? Thanks Kia. Always had a yen to visit New Zealand, it is Middle Earth after all. When I signed Blood Song for Goldsboro they indicated an interest in doing the same for Tower Lord, nothing confirmed yet but I’ll post here when it is. Anthony Ryan. The author that understand what readers want. What he wants. What everyone wants. That is… A solid story and consistent characters. Now I keep coming back and re-reading Bloodsong, over and over again. Waiting for book 2 since August, 2012. Can’t wait for the next one. Caenis (I know what you are). Nortah(I know what you will become). Personally I don’t know but I am more visual oriented so there is some part of me that wishing someday books will have accompanying visual art. Blood song deserve to have one, layout of all the characters, all the maps, all the settings. It has it’s own world. Like what they did on Starwars Episode I. A visual book for the movie. or Visual book for the book (Sounds weird but good to have). I am an avid audiobook listener and decided to take a chance on Blood Song. I was extremely glad I did! Great story and character building. 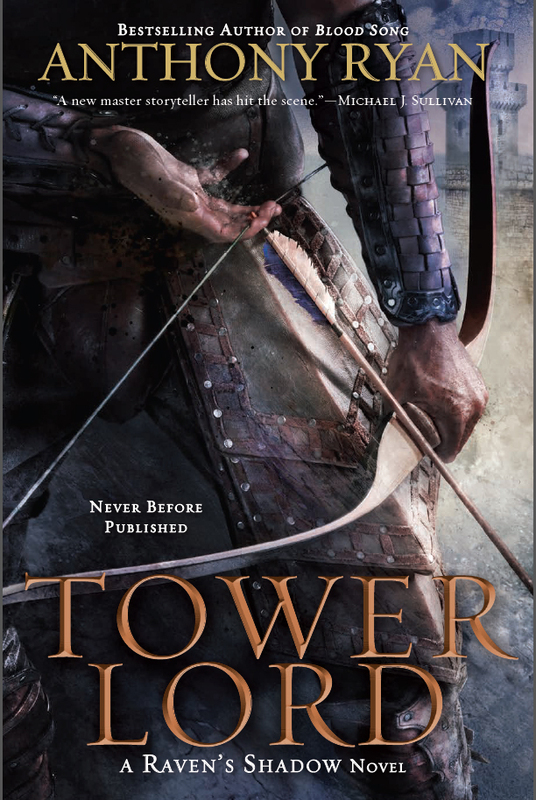 I cant wait for the audiobook of Tower Lord to be available but it is not yet showing for even pre-order. Glad you liked the book. Last time the pre-order didn’t go up on Audible until late June, so I’m guessing it’ll be the same this year. Hope you like it.